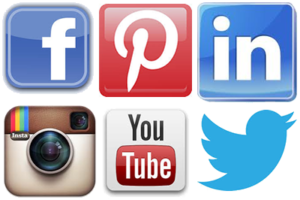 Social media platforms (Facebook, Twitter, Instagram, etc. ), have become an integral part of disaster response and recovery, enhancing the traditional communication tools individuals and emergency responders use. Even if you don’t use social media in your day to day life, consider being prepared to use it in case of an emergency. FEMA, American Red Cross, and others have free emergency and severe weather alert apps for cell phones. Download at least one to your phone to have this additional channel of information available to you. Add your contacts’ phone numbers and email addresses to your cell phone. This should be in addition to another secure, but accessible location for this information. Add their social media profiles as well if you aren’t connected to them in social media. Your Disaster Buddy should be connected to social media. Voice communication service can be knocked out during a disaster, while cell and internet services remain available. If you don’t text using your cell phone, consider learning how for emergency purposes. Before, during and after major disasters, websites and social media pages dedicated to providing up-to-date information about the disaster are established. Connect to these when they appear and share what you know about the disaster. Search on Facebook, Twitter and other social media platforms using the name of the disaster or the name of area affected to find the dedicated sites. Emergency management organizations as well as community members will likely have set up sites. Follow the Facebook pages for the American Red Cross and FEMA. Activate Twitter Alerts for your Twitter account for FEMA, American Red Cross, and emergency responders in your area that participate in the Twitter Alerts program. Use social media to find where local groups as gathering to support emergency relief and recovery efforts. If there’s been a disaster in your area and you are free of danger, list yourself as “Safe and Well” on the American Red Cross Safe and Well site. You can also do this using the Red Cross’ Emergency App for your smartphone. If you are concerned about someone in a disaster area, you can check for them at the site or with the app. Use the Safety Check feature of Facebook. It lets you connect with friends and family, and find and give help after a crisis. Make sure to “friend” or “follow” all friends and relatives you would want to be in touch with when disaster strikes. Create Facebook Groups devoted to emergency information for your family and your studio co-workers. A group could contain emergency communication information such as where to go and how to meet up once the danger has passed. Update your status on social media as able and as needed during and after disasters. The American Red Cross Social Engagement page includes all the Red Cross social media accounts and other ways to connect with the Red Cross with social networking. The FEMA Social Media Page includes a full list of FEMA’s official social media accounts, current emergency related social media conversations in the Social Hub, and crowdsourced emergency photos submitted by the public in the Disaster Reporter. The Disaster Response on Facebook Page spotlights efforts on Facebook to help communities prepare for and recover from natural disasters around the globe.